The San Diego Count, California, weather and lifestyle may be ideal, but not the business conditions. Genesis Healthcare Partners, the region’s largest independent urology practice, is challenged by regulatory changes and the dominance of the regional managed care market, which has huge control of patient flow and payment structures. Even so, the urology practice has found ways to grow and improve care for its patients. Some of the challenges in this market directly affect patients and their access to care, explained Edward Cohen, MD, CEO of Genesis. “A large number of patients are in managed care models. A patient could come in with a specific issue, and I have a doctor who can manage it, but they’re not in that particular managed care or independent physician association.” As a result, there can be a lot of work gaining prior authorizations and getting the approval to perform procedures. The regulatory requirements are getting more intense, Cohen said. “In California, we recently started having to report and check the California database for every narcotic and every schedule 2 to 4 drug that we prescribe. California is known for its burdensome regulations, and that creates a struggle for everybody.” For medical practices in general, not just in California, requirements for documentation and the switch to electronic records systems has also been a challenge, he added. In terms of payment, Cohen said the preferred provider organization market is much more limited than in other cities because many patients are in managed care groups. Further, there has been a broad shift of patients from commercial plans to managed care plans, which do not pay as much for services. Genesis also faces challenges from Medicare, which has a negative impact on regional payment rates, Cohen said. An example was the geographical practice cost index (GPCI) coding system, which defined San Diego as a more rural area than it is, Cohen said. By contrast, the GPCI code for Orange County only 45 minutes north allows a 10% to 12% higher payment rate overall on the Medicare fee schedule. “Independent private practice is a challenge in San Diego where the reimbursements are lower and the access to full-fare patients is more limited,” Cohen said. Additionally, Genesis finds it difficult to recruit new physicians because the region’s cost of living is high and payment rates are comparatively low, which results in noncompetitive income potential. Some large cities have big players that control the commercial insurance markets. In such cases it can be easier for urology practices to negotiate with payers and demonstrate value, because dominant payers dealing with a large chunk of the urology market would be more willing to bargain, Cohen said. In San Diego, each private payer has no more than about 5% to 8% of the market. “With urology being a relatively small specialty with a small spend, it’s really hard to show and gain traction with insurance carriers,” he said. Genesis was able to overcome some of these challenges by leveraging its size and by partnering with the University of California, San Diego. This allowed Genesis to participate in the university’s clinically integrated network wherein payment rates are more attractive. The network also helps Genesis address regulatory requirements and electronic medical records needs, while preserving its independence. Genesis began as a member of the Large Urology Group Practice Association and formed its urology group in San Diego 9 years ago. It was able to unite 9 practicing groups, including a radiation oncology group, into 1 entity. The region is controlled by large healthcare institutions, including the university, Kaiser Permanente, Scripps Health, and Sharp Health- Care. “The county has been essentially divided across those lines, with patients in one system or another, and nobody really crossed systems,” Cohen said. As Genesis increased the size of its countywide footprint, it also became more relevant in the community. The practice now treats patients with all genitourinary cancers; and because a radiation oncology center is now part of the Genesis system, physicians are able to provide radiation treatment in-house. They also have robotic surgery specialists, oncologists, and other specialists in urologic cancer care. “If we feel that [certain cancer cases] are too complicated, we lean on our partners at the university and send patients there to get treatment,” Cohen said. The practice performs genetic testing, MRI fusion biopsies, and confirmatory biopsies for patients who are on active surveillance. Physicians who take the time needed for patients who have advanced prostate cancer, go over the options for treatment, and address what the patients can expect with those options. “Like any cancer center, it’s always evolving, and there’s no 1 treatment, so we use all the drugs that are available to us. It’s very individualized for the patient,” Cohen said. Another aspect that is unique about the Genesis Comprehensive Prostate Cancer Clinic is that it has a database for managing all of its patients with prostate cancer. Within the administrative group, the clinic centrally monitors patients to see how their cancers are evolving and help make sure they get the best care possible. “For the urologist in the field, things may get overlooked—where the patient is in terms of their phase of cancer care. 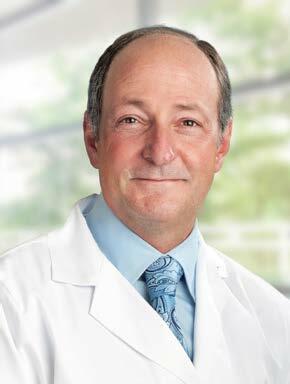 With the database, we can notify physicians of what needs to be done next,” Cohen said.